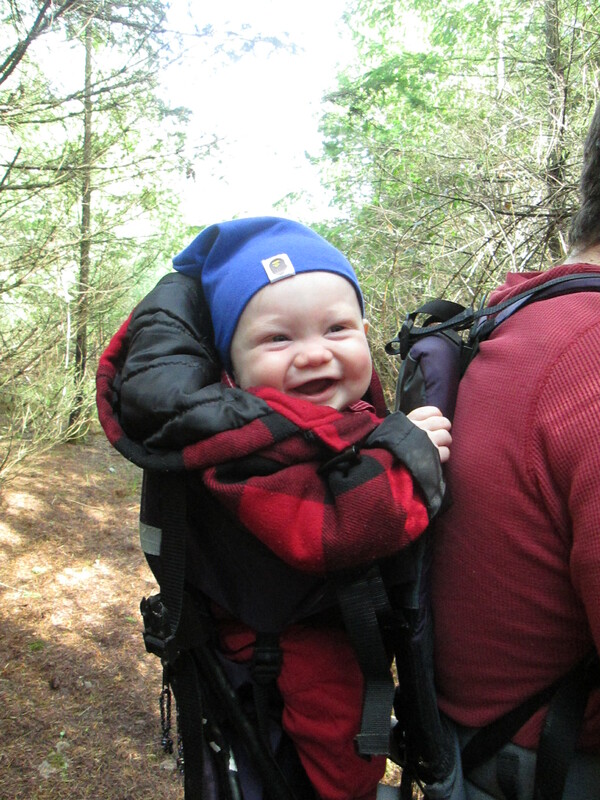 Is there anything more adorable than a baby in the woods? As those who know me can attest, I was never that girl after church wanting to hold all the babies and play with the toddlers. I sigh sometime with the relief that she was right. I can send a whole day with a naughty, messy toddler and still notice his crooked grin and chubby legs when I am rocking him to sleep. I think his obsession with animals is adorable and his love of adventure melts me. There is only one thing that makes him even more dear and that is when we load him up in the car with the thousand supplies to keep him fed, clean, and alive and find the out-of-doors. I have loved the wilds before I even have memory. This was not a passion I discovered in my teens or a hobby I picked up after following adventure photographers on Instagram. It’s not the physical activity that appeals to me or calls me back. Nature stills me in a deeply spiritual way. I long for it the most when I am feeling exhausted or dealing with hurt. Justin and I discuss the implications of raising our kids in a digital age. We don’t have much for opinions yet, we just talk. However, the one thing we do know is if you are going to take something away, even just in small amounts, you need to have something to replace it. We hope that nature and organic play take up some space in our son’s life along with the Nintendo battles Justin is already dreaming about. I haven’t finished this book yet, but Last Child in the Woods is a great place to start, if you think about some of these things too. This summer has not been exactly what we planned as far as outdoor adventures because of the extreme heat and Justin’s involvement in the grass seed harvest. 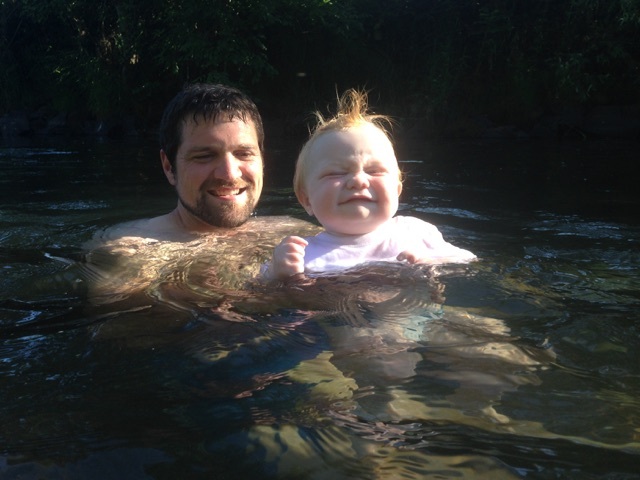 We have done a lot more water exploring than long distance hiking and more day trips that weekend camping. 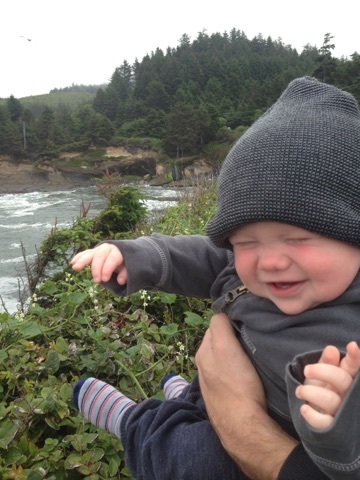 It takes Merek about 20 mins to get comfortable enough to enjoy a new natural environment. We don’t force him, but he almost always comes around and doesn’t want to leave. The light on his face when he is fully enjoying himself is almost too much to look straight at. You can’t quite take it in. 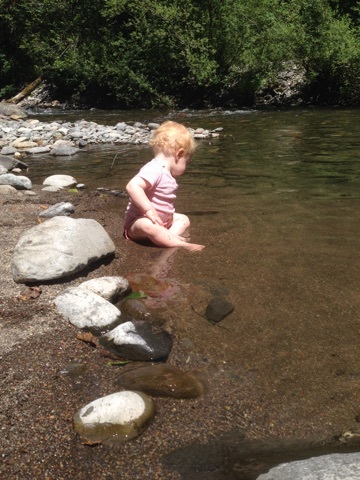 For a nature junky like me, seeing my own chubby son splashing around in a cold mountain stream is about as close to visual joy as I will get here on earth. I so related to your “I didn’t rush to hold all the babies” I too was relieved to have that flood of love for my children. And more, it has made me care for other’s little ones in a new way also. I too love the outdoors and water. 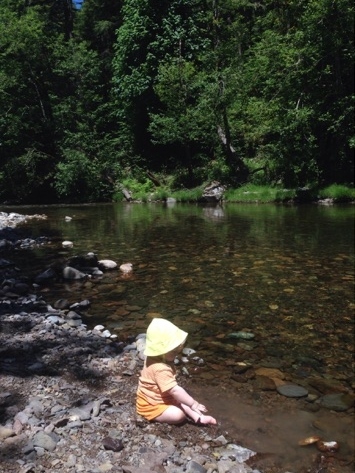 I have 3 grown children and one of their comments has been an appreciation that I didn’t coddle them, and I think that we enjoyed their company so much in our outdoor fun helped them. I know though – they will be affected by the digital age – I too hope real life will win out. I enjoyed this blog. Thank you! I love the perspective of someone who has gone through it and has the wisdom on the other side. Obsessed with that ridiculously emotionfilled face when he gets overjoyed. LOVED this, Esta — i follow your stuff with just a huge smile in my heart – -you are so RIGHT ON and i love your parenting . . . Thank you, Hope. So honored you read my clumsy words.